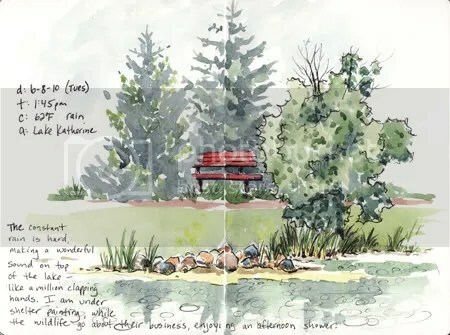 Hike & Sketch at Lake Katherine – Let's Paint Nature! 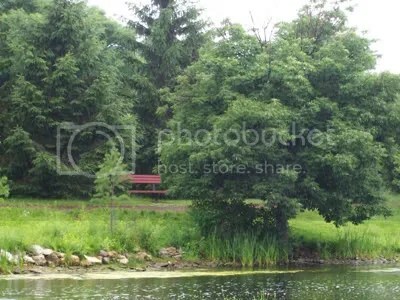 Today I had the chance to be at Lake Katherine in Palos Heights, IL. It has been raining for hours, but does that make nature any less desireable? Why, of corse not! Quite the opposite actually, less people and more wildlife! Oh how peaceful it is, even on an overcast rainy day, to observe nature and make a connection. When 2 mallards decide to fly, how do they know to do it at the same time? They were not making any noises, the how do they communicate to each other that at the exact same time, they should fly away? To me it is a mystery. Here is the observation deck over the lake. The volunteers and workers do a wonderful job with the landscape. I enjoy all of their hard work. I also enjoy that misty background, thank you afternoon rain! 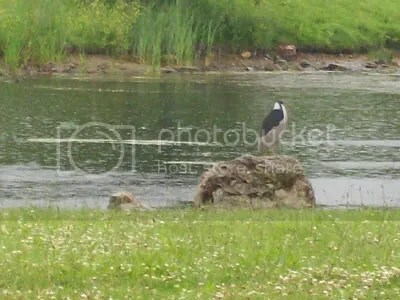 This black crowned night heron stands perfectly still in the drenching rain, staring intently at the water looking for a meal. He doesn’t mind the rain and neither do I. One solemn goose approaches me slowly and stops just 3 feet away looking at me closely. He is checking me out. Is he looking for food or watching for danger? Leaving Lake Katherine, I take with me the sounds and smells of a constant rain. I am a little more at peace, I am a little more calm, and can endure the remaining day…whatever may come along. Lovely sketch–I like the way you made the bench the focus. Great find–the heron. I have a new appreciation for the rain. Artswebshow: Thanks! It’s a great place. Joan: Thanks, the rain is therapeutic for me. For the animals, it’s just part of the deal!